PNC | Optima Group, Inc.
Optima Group has had a long-standing relationship with PNC Bank, for whom the wealth market is a key target audience. 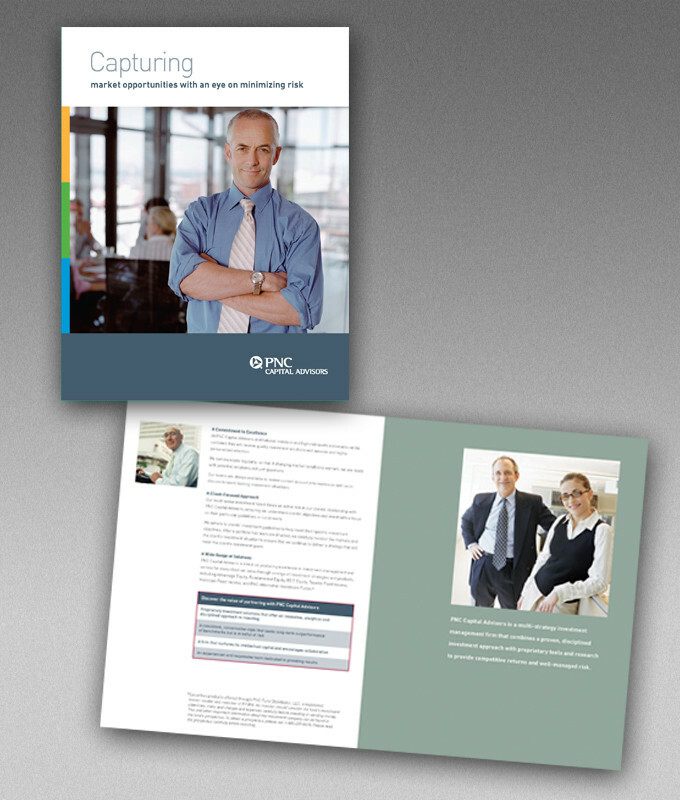 When PNC was interested in establishing itself as a thought leader in this space, they turned to Optima Group. We developed systematic, relevant and timely information for their wealth group, which has helped them build their reputation as a committed, high-net-worth provider that understands the issues these clients face. 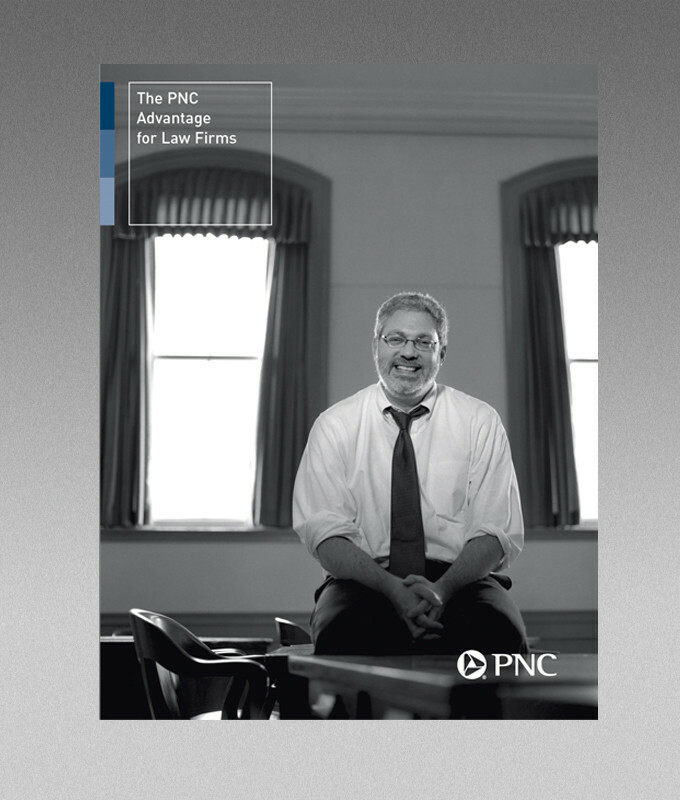 PNC wished to leverage bank wide opportunities to capture business. 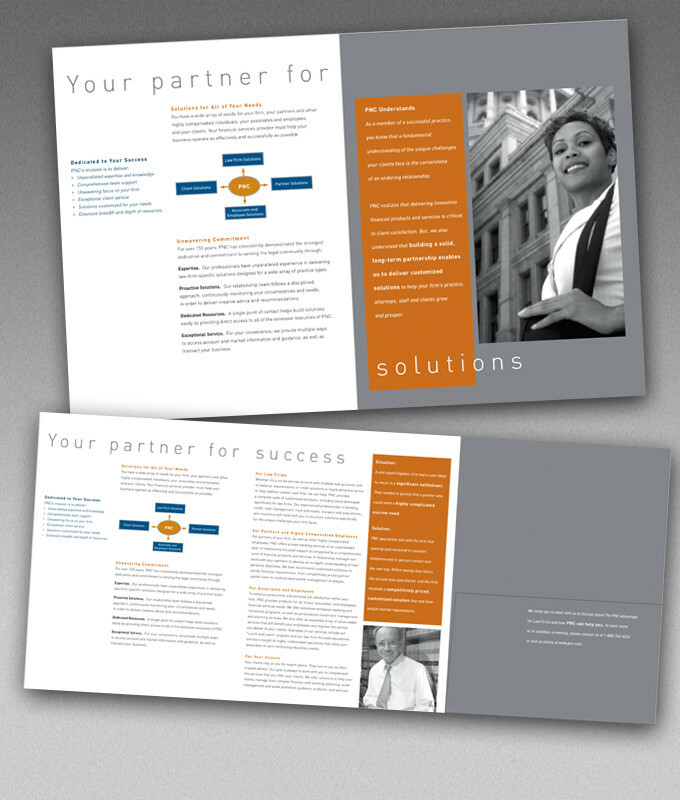 Optima Group developed an integrated vertical segment marketing program targeted to law firms, which highlighted PNC’s ability to deliver products and services to serve the firm’s banking requirements and the partners’ wealth management needs, as well as provide employee banking for the associates and other employees. With its robust investment management capabilities, PNC wished to ensure that there was a cohesive marketing effort for asset management. 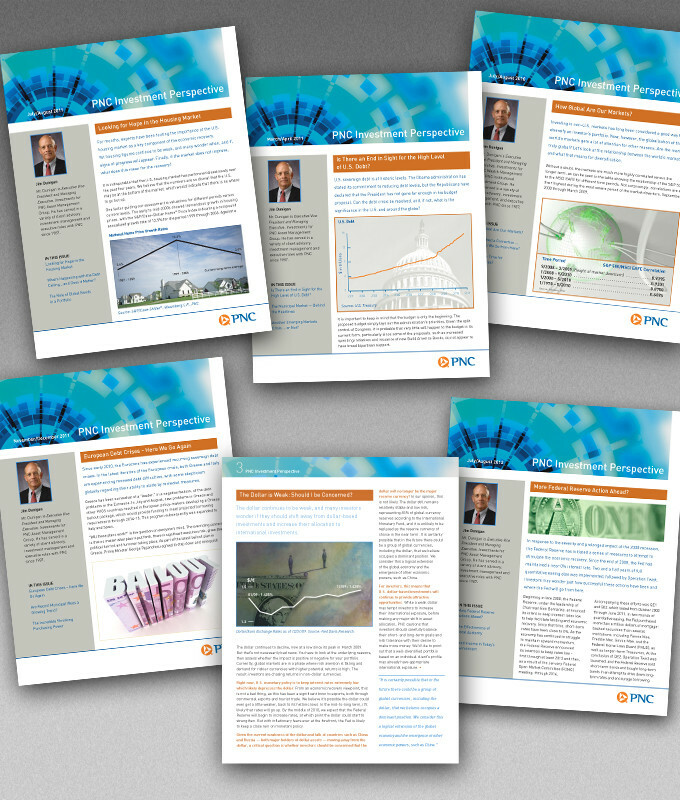 Optima Group created an integrated program with a central piece that spoke to PNC’s overall investment management approach and summarized the individual strategies. We also developed more in-depth slip-in pieces for each strategy that could be used in conjunction with the core piece depending on a prospect’s area of interest.